Anime Dress Up Game. 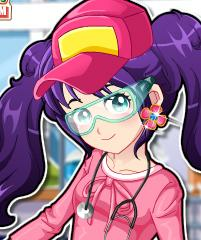 Dress Up this Cute Girl in Colorful Clothes.She is attending a science class which is her favorite course. She has a crush on a cute boy in this class so she wants to look at her best. Help her out and dress her up in the most trendy clothes and don't forget to put protective glasses on her. Here you can play more School Girl Games.